If you want to get into doing gel polish at home, it can get overwhelming pretty quickly. In this post I’ve outlined all the tools you will need for an awesome gel polish manicure at home. You really need a few tools and you can always get started with a kit. Links to some great gel polish starter kits are at the bottom. And now, here are all the essential tools you need for doing gel polish at home. 1. Top Coat and Base Coat. Gel polish always needs a base coat and a top coat. There are a few brands that do not need a base coat or top coat, but those are the exception not the rule. Plus, they are always clearly marked. In general, you need a base coat and top coat and they don’t necessarily have to be the same brand or be the same brand as the gel polish color you are using. Just make sure they all cure in the type of lamp you have. 2. UV or LED Lamp. Gel polish must be cured in a UV lamp or LED lamp. UV cures in 1-3 minutes and LED cures in 30-60 seconds. See more about the differences between UV and LED lamps in my Gel Polish F.A.Q. post. Probably the best LED lamp is the Gelish 18G. A more affordable option is the MelodySusie 12w Violetti LED lamp. 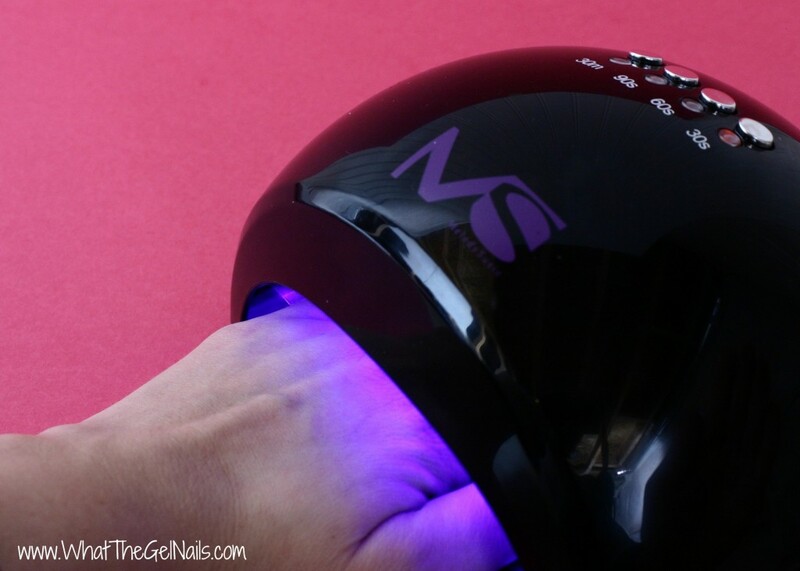 A great UV lamp is the CND Shellac Official UV Lamp. A more affordable option is the Salon Edge 36w UV Lamp. 3. Pure Acetone. 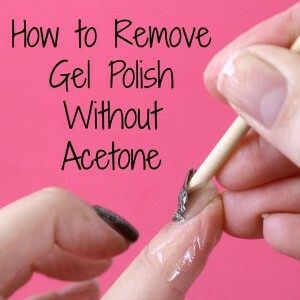 You need pure acetone to remove gel polish. To find out how, see How Do You Take Off Gel Nail Polish, Tips and Tricks for Gel Polish Removal, Nail Mates for Gel Polish Removal. 4. 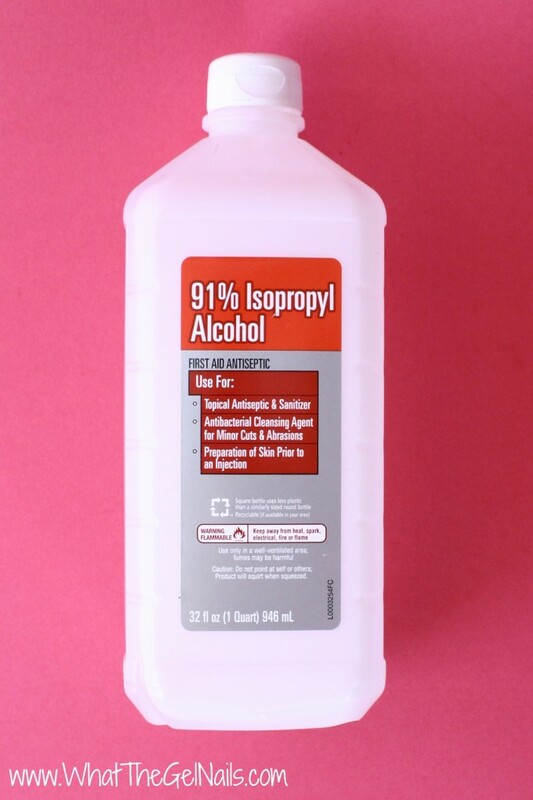 91% Rubbing Alcohol. You need rubbing alcohol to cleanse the nail after buffing and also to wipe off the tacky layer at the end of the manicure. See How to Do Gel Nails At Home for more info about this. 91% alcohol is best to use, but anything 70% or higher will work. You also need a lint free wipe to use with the rubbing alcohol. I like to use disposable alcohol wipes like they have in first aid kits. 5. Crystal/Glass Files. Crystal or glass files have the pattern that files etched into the glass. You can buy cheap glass files that do not have the pattern etched into the glass. The pattern is glued on like regular cheap files. These are not the same as high quality glass or crystal files. Glass/crystal files last FOREVER. You can use them over and over and they will never stop working because the pattern is etched into the glass. You do need to clean them periodically and they are only recommended for personal use. But, if you are doing your own gel nails at home, they are awesome!! 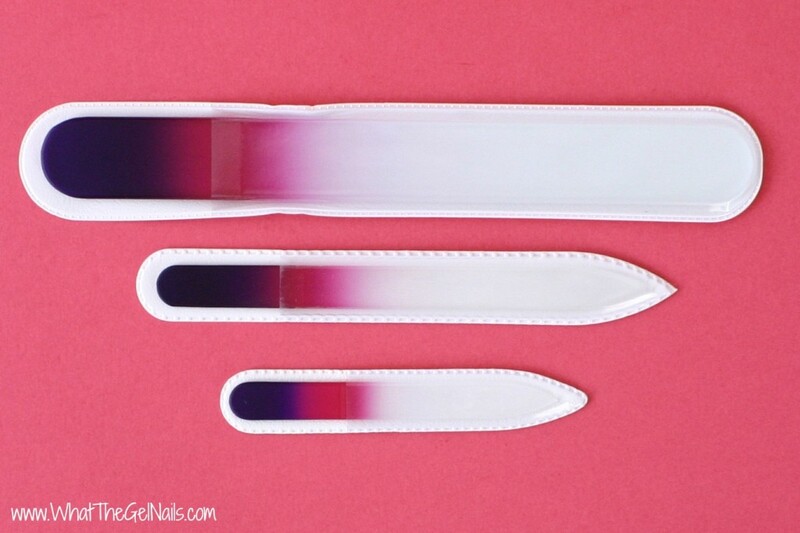 They are even better for your nails than regular files. If you need a good file, I would definitely get a crystal file. 6. Robart Paint Shaker. This tool is definitely optional, but I love mine! I use it to thin out thick and goopy gel polish. 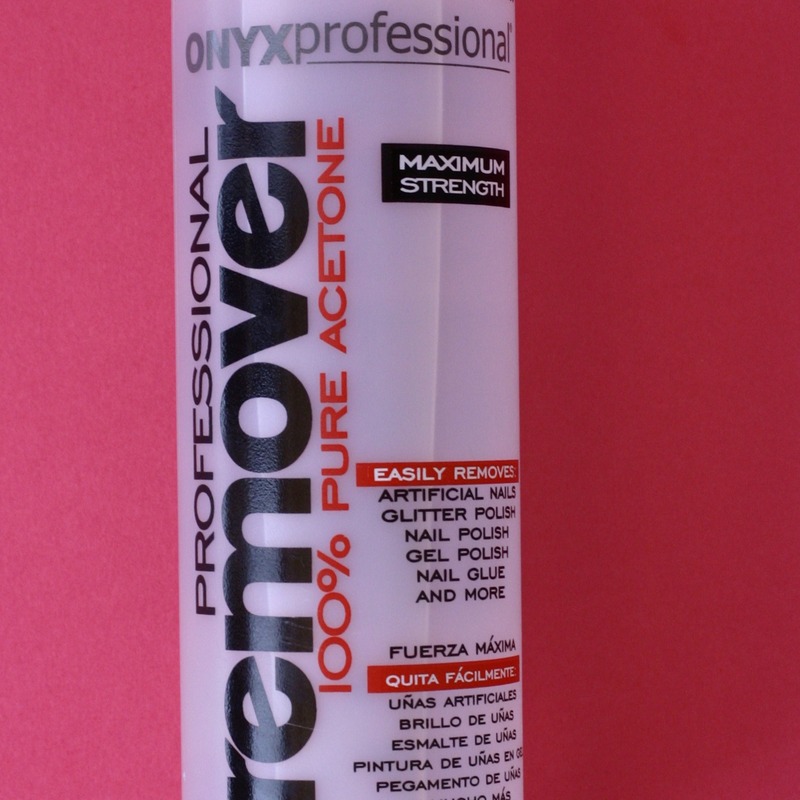 I also use it to fix gel polish that is separating. It’s also great for evenly distributing the glitter in glitter gel polish. 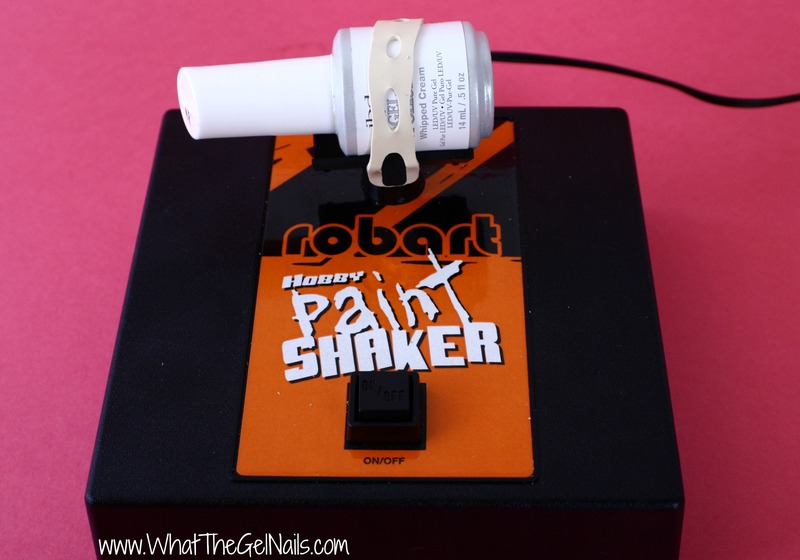 Find out more about the Robart paint shaker in my review. 7. Swatch Sticks. This is another optional tool, but if you start collecting gel polish like I did, they are very useful. These are just clear plastic sticks with little nails on the end. You can paint the nail shapes with your gel polish colors to see what they look like without having to paint on your nails. This is great to see the color without having to do a full manicure. I always paint my swatch sticks as soon as I get the gel polish in the mail because I have no self control. 🙂 Haha! Swatch sticks are also nice when deciding what color to wear. I can see what each color looks like without having to rely on my memory. This is an optional tool, but they are so cheap, it’s definitely worth it to me. 8. Dotting Tools. This is another tool that is really cheap. 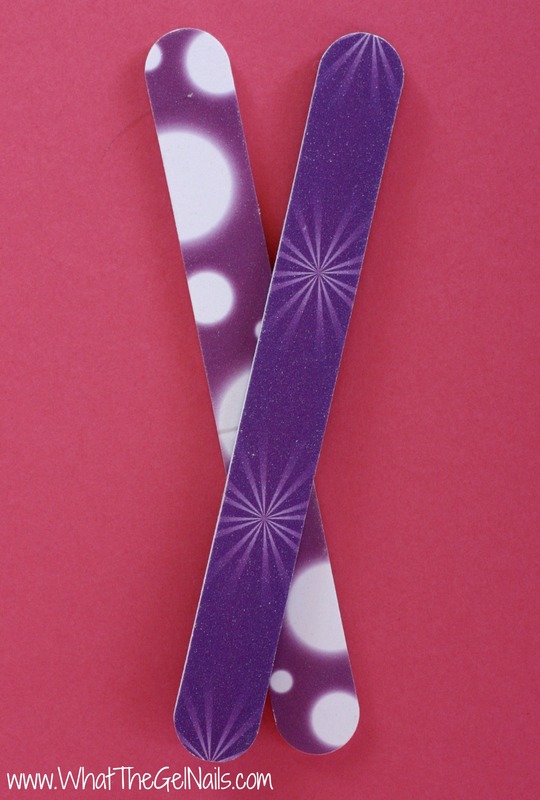 Dotting tools are perfect for nail art. You can create lots of simple, but beautiful nail art with dotting tools. They come in different sizes which make the possibilities endless. 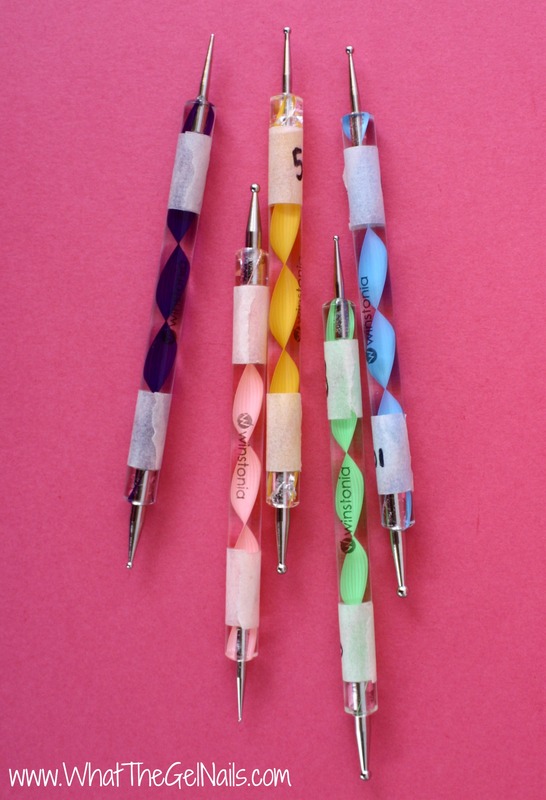 They are only a few dollars, so if you want to do nail art, you definitely need some dotting tools. Here is the exact set I have. 9. Buffer. 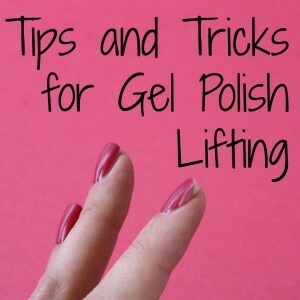 When doing gel polish, you need to lightly buff your nails so the gel polish has a rough surface to adhere to. See How to Do Gel Nails at Home for more info. You should use a 220 grit buffer and be sure that you don’t buff your nails too much because it will damage them. Also, if you do gel manicures one after another, you really only need to buff the new growth, not the whole nail. 10. 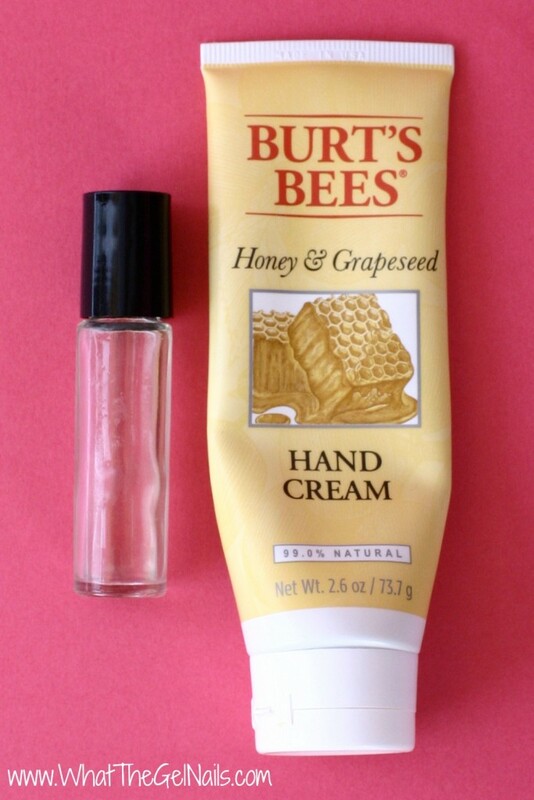 Cuticle Oil and Hand Cream. Every gel polish user knows that acetone is needed to remove gel polish, but the acetone can really dry out your cuticles and nails. A good cuticle oil and hand cream are needed to counteract the drying effects of acetone. Check out my post on my homemade cuticle oil and 5 Ideas for the Best Cuticle Treatment. 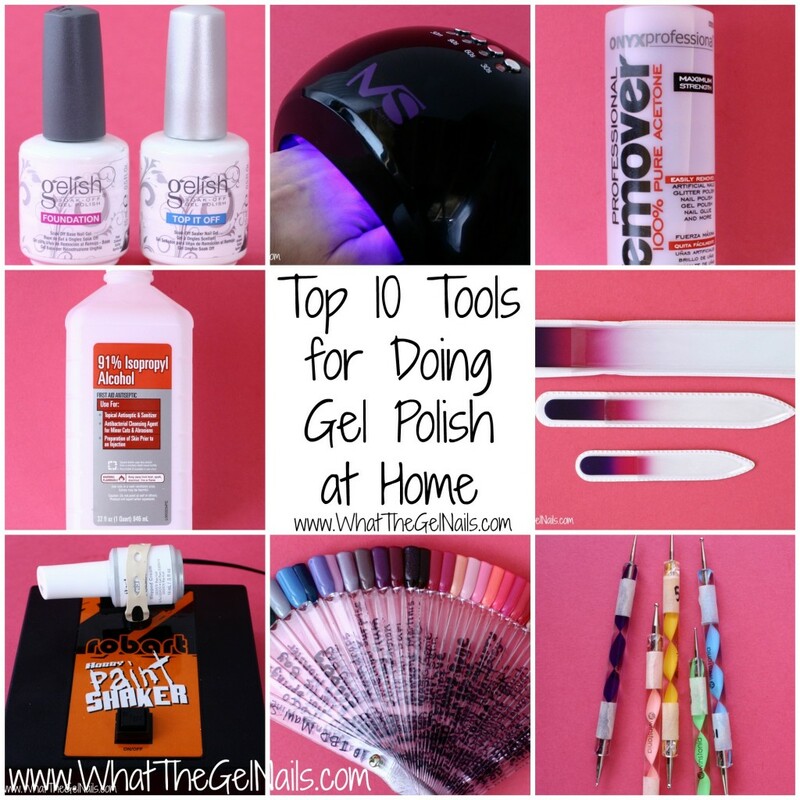 The first five tools are absolutely essential to doing gel polish at home. The last five are more optional, but I would highly recommend them. 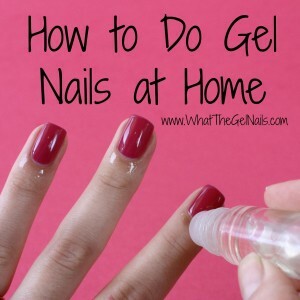 It does take a bit of money to get started with doing gel polish at home, but you will save so much money in the long run compared to doing it at a salon. You can buy all of these tools separately, or you can buy a kit to get you started. I personally started with the Sally Hansen Pro Gel Starter Kit. This was a great way for me to dip my toes in the water and see how I liked gel polish. This kit came with everything I needed, but in small quantities. I had to replace the acetone and rubbing alcohol fairly quickly. Also, I didn’t like the quality of the Sally Hansen gel polish color that much, but maybe I just have a bad bottle. Here are some other kits that are great for starting out.